Firstly, I apologize if this has been covered many times, I searched high and low on the forum, and on the web in general, but didn't find any direct info. I remember reading once that grinding some of the material from the manifold/block could allow the actuator to fit barely, but I can't seem to find that info now. Pictures in old threads are broken, if nothing else. So, my question is, will I be best off using an external wastegate? To me, it seems like this may be the only option. 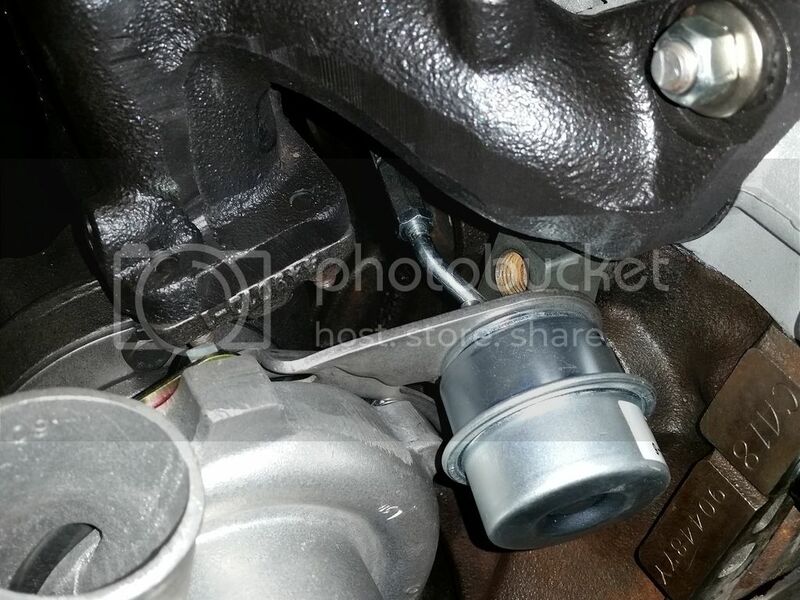 Alternately, does anyone know of a compact wastegate actuator that could fit, or a method of relocating the wastegate actuator so it's not sitting on the compressor housing hitting the block? 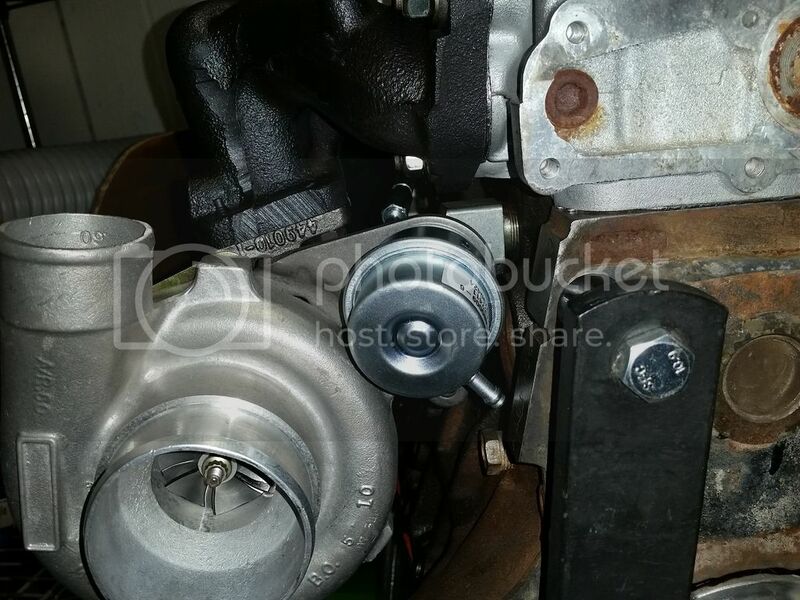 On your pulsar, can you rotate the turbo 180 degrees so that the compressor side is closest to the front of the engine? I forgot to say it was a FWD application, my bad! You must be a detective, haha. I read your reply, then went and looked at the s13 CA18DET fsm, and sure enough the actuator is on the outside away from the block. 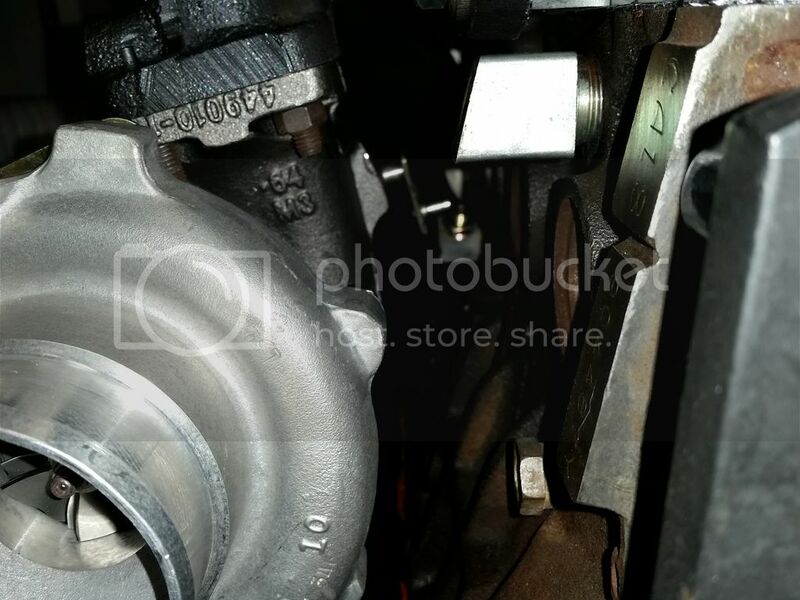 The fwd manifold (my engine came from a Bluebird awd) mounts the turbo too close to the block to turn it around to the pulley side of the engine unfortunately. Break out that grinder! Sorry, got no other advice since I'm not familiar with FWD applications. Hey everyone, thanks for your help. Sorry I took ages to post back, holidays and stuff and all that. Here is another view, where you can see the clearance issues. Here I have sort of stuck the actuator and bracket in where it would need to be, but it's impossible to line it up with the bolt holes on the compressor housing. The water line fitting to the turbo is in the way too. Heres the other angle of that, with the bracket+actuator just laying in there to show lack of clearance. I'm thinking i'll have to go external and just be done with this. So tired of hitting road blocks with this project! I suppose you'll have to put on the actuator rod c-clip on from the turbine housing side ? 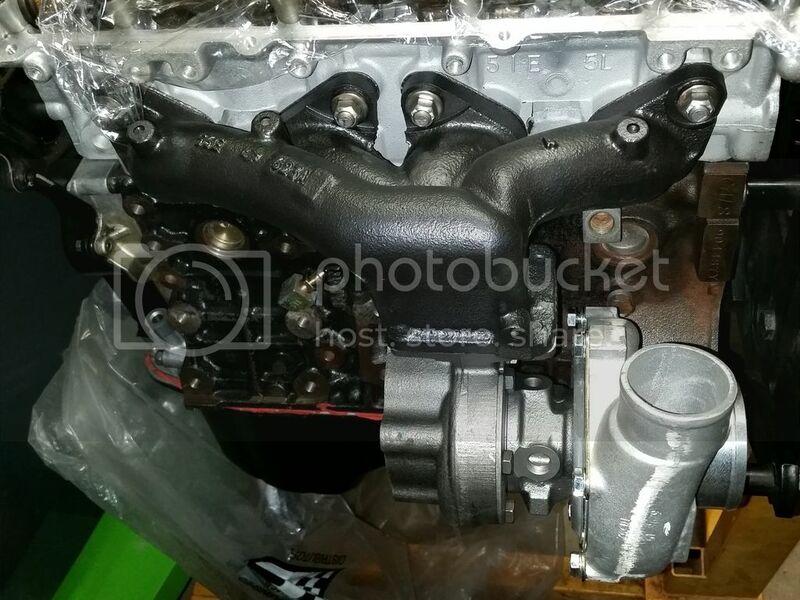 Would a RWD manifold end up in better position ? Yea, that's a tight squeeze. I'm hoping boostboy will chime in here as he's familiar with FWD stuff. That being said you're either going to have to fabricate a new actuator bracket, flip the turbo around (which probably won't clear the radiator or A/C & P/S), or buy a RWD manifold that will let you flip the turbo and still clear the radiator and accessories. I personally would think fabricating a bracket would be the easiest. Thanks for the input guys! The bracket fabbing sounds like the simplest way to go. I got stuck thinking inside the box about "what will fit" that I can just buy, didn't even think about cutting the bracket I have and modifying/adding to it to make it fit.But, I don't have a welder, and my welding friend moved away. There is a reputable performance shop nearby (that tunes watercooled VWs but at least they'll be used to turbos) that I bet would do it for hopefully only an arm, and not an arm and a leg. Yea, I think that's a RWD manifold. If that is a T25, there's no way your T28 will fit. I think you're going to have to fab a bracket. 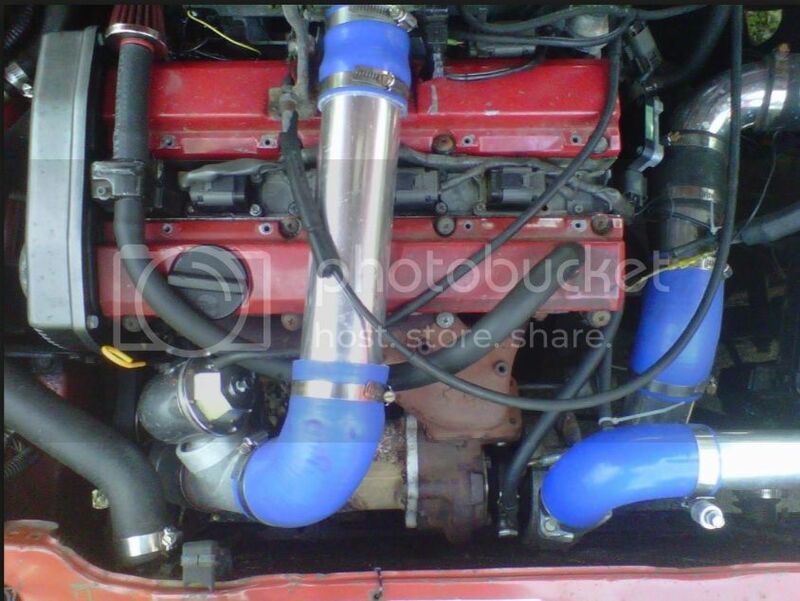 If you can run the turbo the other way (intake facing left in the most recent image) I think that would be beneficial. you wont have the cold pipe running so close to the down pipe (this probably depends on your setup though) and it seems like it'll shorten your intake piping. You also have that whole added benefit thing of the turbo actually fitting properly. Any good exhaust shop should be able to fab up a down pipe with little trouble, and I imagine it'll be easier than trying to test fit brackets for the wastegate actuator until something fits properly. Its probably cheaper to flip the turbo and have a new DP fabricated if you consider what your time is worth. All this said, I have no idea what other intricacies this might involve as I don't own a FWD Nissan with a CA.